The top three finishers from Saturday's $200,000 Stonestreet Lexington (G3) are either at Churchill Downs or soon will be, according to their connections. Rupp Racing's Owendale, who notched his first stakes victory with a 1¾-length triumph, might head back to Churchill Monday to join trainer Brad Cox's string there, according to Tessa Bisha, who runs Cox's barn at Keeneland. Peter Redekop's Anothertwistafate picked up eight Derby points with his runner-up effort to boost his Derby points total to 38, good for 23rd on the final leaderboard. “He ate up good and cooled out fine, and that's the main thing,” trainer Blaine Wright said Sunday morning. Silverton Hill's Sueno finished another 1¼ lengths back in third and picked up four Derby points to increase his total to 32, a figure that ranks 24th on the leaderboard. 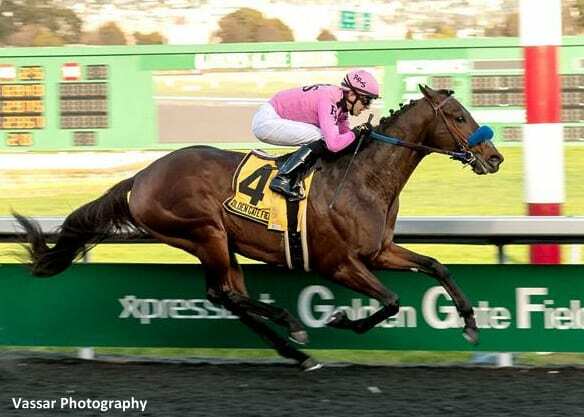 This entry was posted in NL List, Triple Crown and tagged Anothertwistafate, blaine wright, brad cox, churchill, churchill downs, Horse Racing, Keith Desormeaux, kentucky derby, lexington, lexington stakes, owendale, Sueno, Triple Crown by Press Release. Bookmark the permalink.